Patrick Bäurer is one of the best world´s premier Football Freestylers. His Football-Freestyle-Show has been performed globally. Notable locations include Europe (Germany, Czech Republic, Austria, Italy, Spain, Switzerland), Asia (Dubai, Singapore, Malaysia, Thailand, China) and North America (the USA, Canada). 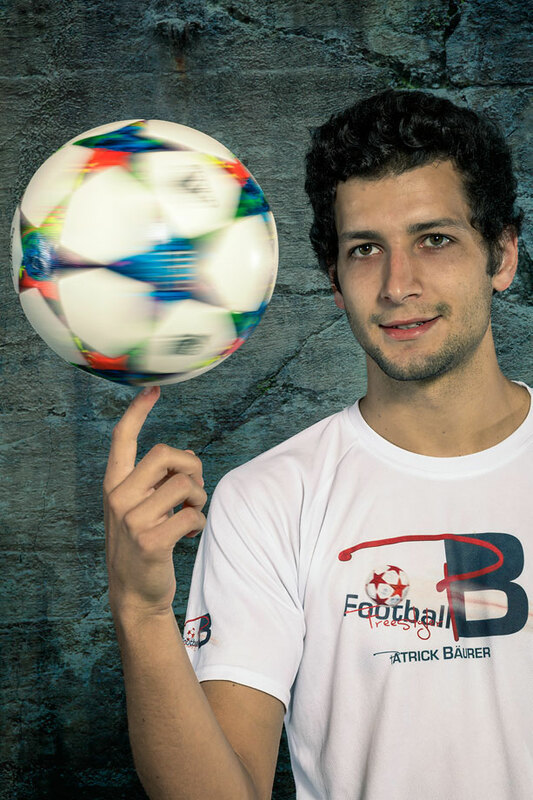 Patrick is a three-time participant at the Football-Freestyle World Cup hosted in Prague, Czech Republic. He draws inspiration and skill from his experiences at the World Cup, and incorporates them into his daily training and show routines. Be it a show in front of a sold-out stadium, TV-Show, private or corporate event, Patrick is bound to dazzle spectators with a show to remember! If you would like to book Patrick´s Football-Freestyle-Show for your event, or have any questions and suggestions: You can message Patrick by clicking on "Contact".